West Shore Resource offers a wide variety of aluminum alloys to meet the exact specifications of your individual casting applications. We have alloys which excel in corrosion resistance, machinability, tensile strengths, yield strengths, pressure tightness and numerous other physical characteristics. We use trusted out sources to deliver you a ready-to-use part. 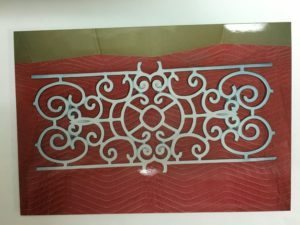 Various finishes are also available, such as sandblasted, pin and stone polished, painted, powder coated and anodized.